The Menomonie Theatre Guild (MTG) is eager to present their fall musical, “Next to Normal,” the first production of this year. “Next to Normal” is a musical production that follows a mother’s experience with worsening bipolar disorder. The plot incorporates the perspectives of those who deal with and those who know someone dealing with a mental illness. As for the music, the characters are able to display their support, connections, exhaustions and stresses through the genre of Rock ‘n’ Roll. Smith-Tourville is a second time director for the Menomonie Theatre Guild and president of the MTG Board of Directors. She has a master’s degree in social work and is clinically trained as a mental health professional. Smith-Tourville’s personal and professional experience with mental illness makes her a great asset in directing this production. 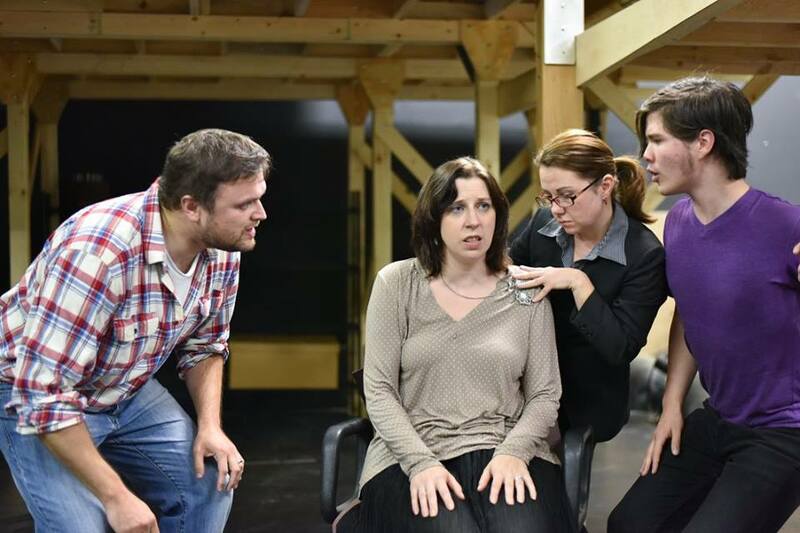 “Next to Normal” is not only a new twist on mental illness, but also a new twist for MTG. “It is a controversial show and not something that we would typically do at the Mabel Tainter through the Menomonie Theatre Guild,” said Smith-Tourville. However, participants were anxious to audition and take part in a performance so different from past MTG productions. On and off stage, even the University of Wisconsin–Stout students and alumni have contributed a great amount of time and effort into creating a successful show. Making her debut in the MTG studio is Jillian Phillips, a former business student and theatre participant of UW–Stout. Phillips is playing the role of Diana Goodman, a mother who struggles with bipolar disorder. Participating in her second MTG production, Josie Salzman is a UW–Stout graduate with a degree in the Communications program. She is playing the role of Dr. Madden, Diana Goodman’s psychotherapist. This production also includes current UW–Stout students. Behind the scenes are Corey Schoff, a junior in the information technology management program and Daniel Craig, a senior in the game design program with a concentration in computer science. Schoff is in charge of the sound design and Craig is in charge of the light design. With a majority of participants being UW–Stout students and alumni, Smith-Tourville hopes to not only educate the Menomonie community, but also the UW–Stout community. “There are two aspects of the musical that I think would be very valuable to Stout students,” Smith-Tourville explained. “One is that it really is a millennial show. It’s the kind of show that [the younger] generation can get behind and really feel passionate about. The showings for “Next to Normal” will be October 16, 17, 23, 24 at 7:30 p.m. and Oct. 17, 18, 24, 25 at 2:00 p.m. in the Mabel Tainter Theatre. Stoutonia Reader Special: Stoutonia readers will be entitled to $10.00 tickets to the opening night show Oct. 16 at 7:30 p.m. by mentioning the Stoutonia article when they purchase their tickets.